All stainless steel construction. 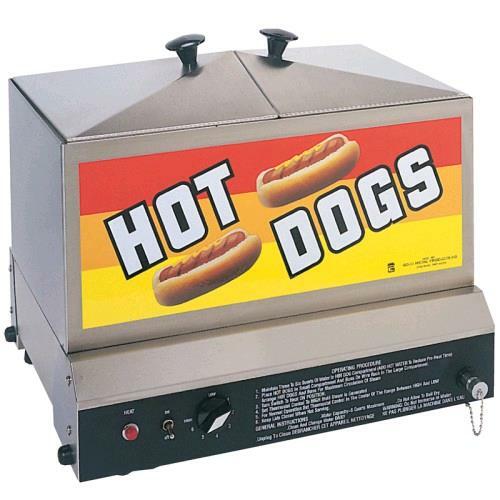 Steams hot dogs and buns in 1 unit. Hot dog juice tray included. With the adjustable heat control you have the ability to get them just the way you like them. Easy to dissemble and clean so any additional cleaning charges can easily be avoided. * Please call us with any questions you may have about our machine hot dog rentals in Petoskey, Northern Michigan & The Upper Peninsula.